HomeArrow NewsArrow Out and about again! 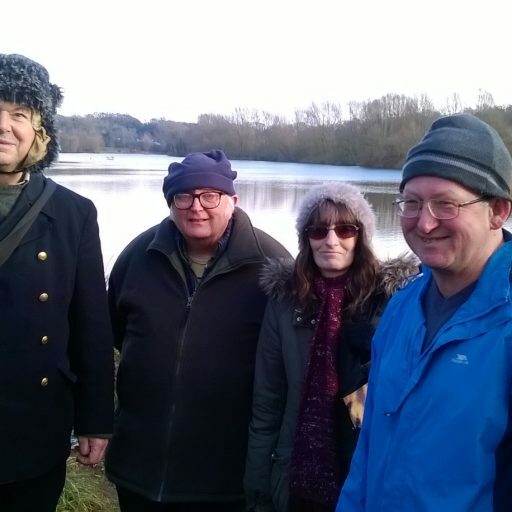 Members of Bridges, our drop-in advice and information service providing mental health support and information went walking at UEA recently. Fortunately for us it was a beautiful day with snow underfoot and sunshine. We followed the sculpture trail from the Sainsbury Centre around the broad and returned to view the resident exhibitions – and of course enjoy a cup of tea! We hope to do more walking trips out in the future as we build on our stamina.